The Meredith Small article on “Our Babies, Ourselves” reprinted in Applying Anthropology: An Introductory Reader can be a useful follow-up to Body Ritual among the Nacirema. 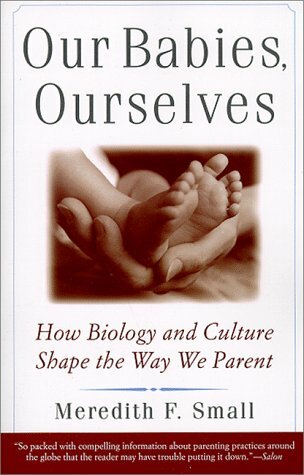 The “Our Babies, Ourselves” article is a very short version of Meredith Small’s book by the same name, Our Babies, Ourselves: How Biology and Culture Shape the Way We Parent. Small also blogs at The Anthropology of Everyday Life. The most obvious first lesson, which follows naturally from Horace Miner’s Nacirema article, is about how many different ways there are to raise children. Everyone is a little bit ethnocentric about babies. The Gusii mothers are appalled at our babycare behavior, just as we might wonder about their baby-raising. As Jared Diamond asked in 2012, What Can We Learn from Traditional Societies? Certainly one lesson is about closeness and quick attention to crying. 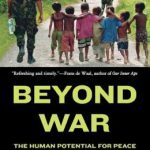 Diamond concludes, “the prompt responses of hunter-gatherer parents to infants crying do not consistently lead to children who end up conspicuously lacking in autonomy and self-reliance and other virtues.” Diamond in fact lauds what he glimpses as a greater autonomy and self-reliance. Alex Golub recommends Meredith Small as a favorable alternative to Jared Diamond on these matters. I agree. One reason I prefer Meredith Small is that she also highlights variation within industrialized countries. One of her featured examples is from Dutch parenting, revealing that the differences are not limited to far-away others. It’s an attempt to gently introduce the ideas of Anthropology and Human Nature–that there is no such thing as a human nature outside of particular histories and circumstances. That there is not–as at least some people want–a universal prescription or universal baseline of babycare. I also sometimes use this as a way of introducing what Franz Boas found in the immigrant head form studies–and as the comment stream for Jonathan Marks’s 2013 Diamonds and Clubs revealed, these issues are still very much alive. It may be worth point out here, as evident in Mothers and Others: The Evolutionary Origins of Mutual Understanding by Sarah Blaffer Hrdy, is that what does seem to be a universally true baseline is that humans are cooperative breeders: infant care is always social, always intensely close. Nevertheless, attempts to delineate universal or baseline techniques always falter. Is it culture or power? My one quibble with Meredith Small’s article is that it sometimes glosses as cultural difference what might actually be issues of power and choices made under difficult circumstances. This is a lesson indelibly impressed from any reading of Nancy Scheper-Hughes Death Without Weeping: The Violence of Everyday Life in Brazil, when parents leave infants with young siblings not out of choice or culture, but because that is what they must do to survive. Indeed, let us all spare our lectures and good mother sermonizing. However, how is this woman managing work and three at home? Is older-sibling care really what she would choose? Is that culture? Or is it power and inequality? Put differently, when Jared Diamond shows us a picture of a “Pume Indian baby playing with a large sharp knife” is this really (as he labels it) “traditional child autonomy”? Or is it a lack of resources to provide toys and supervision? Most potently, the lesson here is not what we can learn from distant others, but rather about how politically-charged and impossible it has been to get parental-leave policies and childcare in the United States. In other words, the bill was blocked for precisely recommending what anthropologists like Meredith Small and Sarah Blaffer Hrdy say is most necessary and species-appropriate for raising children: communal approaches to child rearing. People, think about this for a minute. We have no bigger crisis as a nation than the class barrier. We’re near the bottom of the industrialized world when it comes to upward mobility. A child born to poor parents has a pathetic chance of growing up to be anything but poor. This isn’t the way things were supposed to be in the United States. But here we are. Would it be different if all the children born over the last 40 years had been given access to top-quality early education–programs that not only kept them safe while their parents worked, but gave them the language and reasoning skills that wealthy families pass on as a matter of course? In 2018, I think we do know it could have been different. We could have had quality preschool education for all in the United States. Instead we have teachers without pay and healthcare. Students on a #MarchForOurLives. And a tax scam for the wealthiest that bankrupts the country. See Alma Gottlieb on Diapers, potties and split pants: Understanding toilet training around the world may help parents relax. Originally in The Conversation (November 2017) and then re-published in Sapiens (March 2018). The 2017 discussion by Alma Gottlieb for the second edition of A World of Babies: Imagined Childcare Guides for Eight Societies. 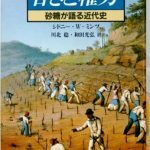 The 2017 Introduction to Anthropology discussion of Culture and the Neurologically Unfinished. The 2016 Introduction to Anthropology discussion of Culture and Our Babies. To cite: Antrosio, Jason. 2013. “Childcare, Culture and Power in Meredith Small, ‘Our Babies, Ourselves. 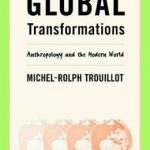 '” Living Anthropologically website, https://www.livinganthropologically.com/meredith-small-our-babies-ourselves/. First posted 15 February 2013. Revised 3 March 2018. If you are reading this for a class on “Our Babies, Ourselves,” please use a social share button or make a $1 contribution to keep anthropology resources online, updated, accessible. Thanks!